It’s graduation season. 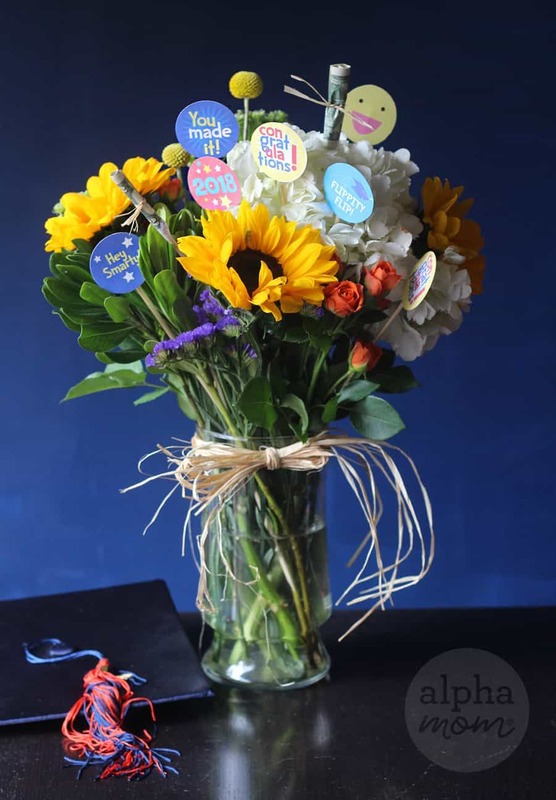 You could just give your graduate a card full of cash or a gift card attached to flowers from market OR you could punch them up a little bit and add a whimsical personal touch, like we did here. First print out our printable. Cut it down into strips (so it will fit in your punch) and then punch our your circles or hand cut them if you don’t have a 2-inch punch. I recommend leaving a little bit of white space if you aren’t perfect at cutting (like me). White is much more forgiving than color when it comes to smooth cutting lines. 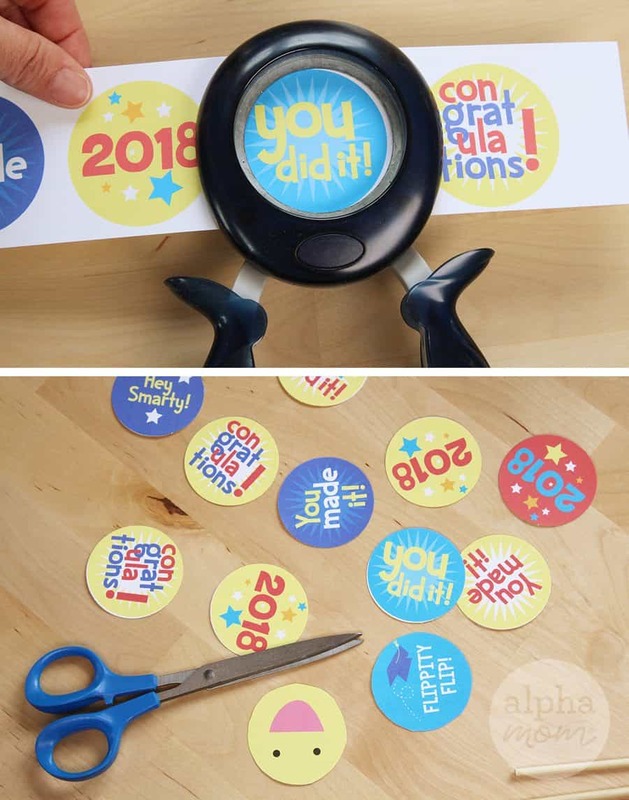 Then tape your graduation circle notes to the back of a skewer! So easy! 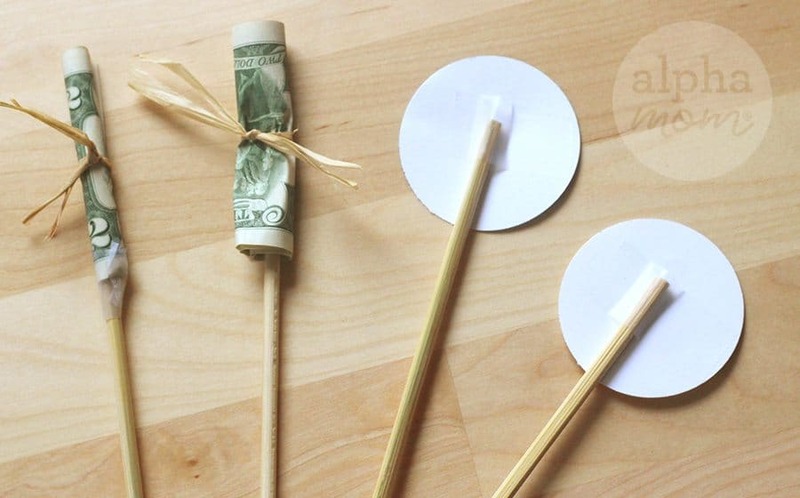 You can get extra creative and wrap up a few twenty dollar bills (or $2 if you’re cheap like me) to really add to your grad’s surprise. Just tie them to a few more skewers with ribbon or raffia. It does make an extra nice touch! 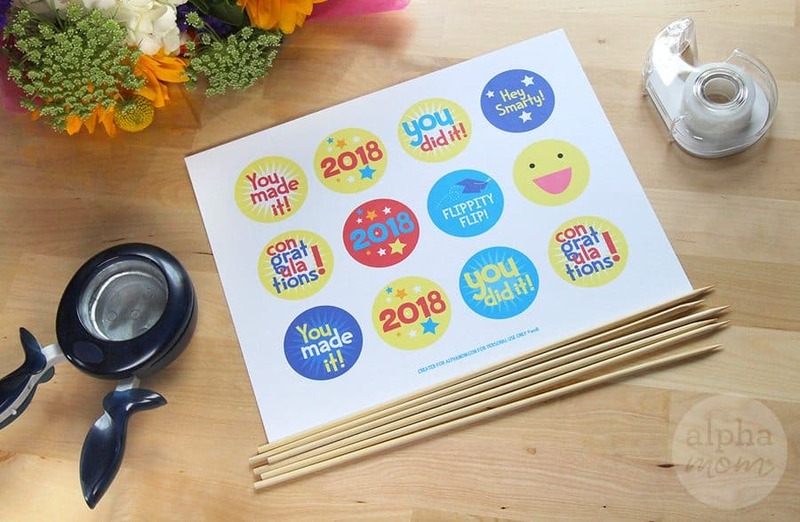 This printable can also be used as cupcake toppers if you’re happening to be throwing a graduation party! 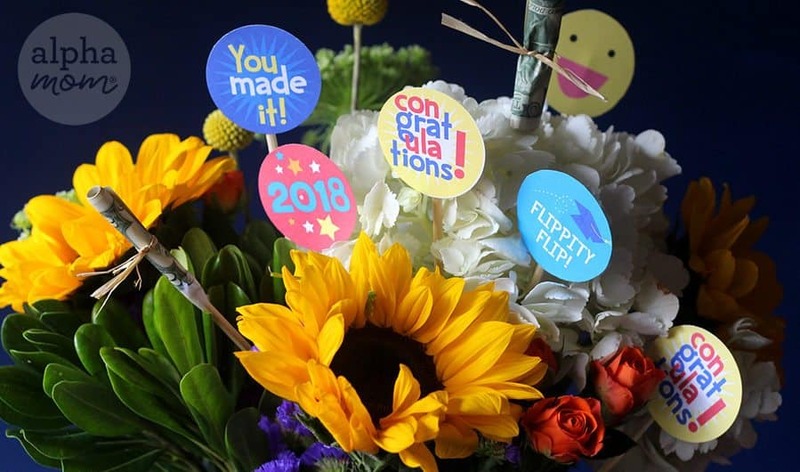 Find more Graduation ideas here!